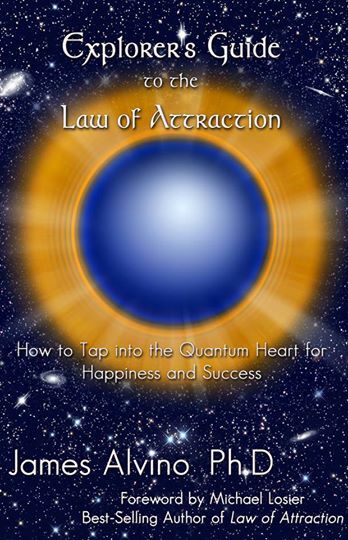 How to Tap into the Quantum-Heart for Happiness and Success explains how the Law of Attraction works, why it works, and how to make it work for you! The book explains the philosophy behind the Law of Attraction and related principles, its underlying science of quantum physics, takes you on the author’s spiritual journey of self-discovery and gives you a roadmap for your own personal development. Welcome happiness, success and abundance into your life! Not since The Secret and What the Bleep Do We Know?! have I seen a book that so insightfully connects the dots between the Law of Attraction, science, and spirituality as Explorer’s Guide to the Law of Attraction does. Jim Alvino takes you on his personal journey and guides you through the maze of how the Law of Attraction works, why it works, and the pragmatics for attracting and creating the life you desire. This book is truly transformational! Order an Original, SIGNED Copy NOW! Live in Canada? Click here to order your copy!